Ariel Rebecca Martin, better known by her screen name, Baby Ariel, is an American internet sensation, who is famous for her lip syncing videos on Musical.ly. Her social media career took off when she was fifteen, posting videos of herself singing to popular hit numbers on musical.ly and further expanded to other social media platforms. This young lass has gained immense popularity in just about one year, thus being recognized as a “Top 2017 Digital Entertainer” by Forbes. Baby Ariel was born on 22 November 2000, in South Florida, Florida, United States. She is currently 18 years old. Due to social media career, she couldn’t able to continue with traditional education, and takes the advantage online courses. As far as we know, the social media star has not in a relationship with anyone. She ended her relationship with fellow Musical.ly star Blake Gray in July 2017. Their break up might have surprised her fans because the way they celebrated their five-month anniversary for being together after they met in 2016. To sum up, they have been together for 8 months. Before that, she dated fellow social media celebrity, Zach Clayton in 2015, however they broke out in 2016. She wears a size 5.5 (US) shoe. 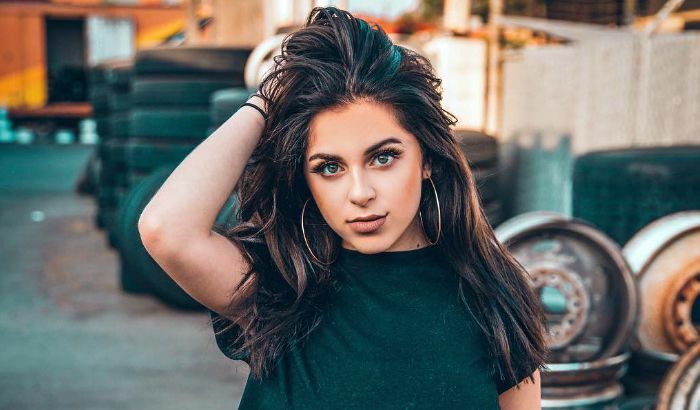 Baby Ariel came into the limelight in 2015 when her lip-syncing videos started trending on the platform musical.ly, garnering hundreds of thousands of views. She has lip-synced to a bunch of greatest hits, eventually making her an internet star, in matter of few months. She has accumulated over 22 million fans on the platform. Realizing the gravity of fame that she attained through the app, she branched out to YouTube, Instagram and other social media platforms. This multi-talented star achieved stardom status at the young age of 15, who now has over 30 million followers on different social media platforms combined. She hasn’t yet made an appearance in television or films. Being a high-profile celebrity endorser, Baby Ariel has been affiliated with several brands and products. She pushes them on all of her social media accounts through strategic posts and videos. Within a short period of time, Baby Ariel has earned a net worth of over $1.5 million US dollars. Indeed, Social media is her main source of income apart from brand endorsements. She makes $5 upwards for every 1000 monetized YouTube videos. With more than 2.5 million subscribers and over 160 million views, she could have apparently made $55,000 upwards as revenue from YouTube alone. In addition to that, sponsored posts, brand endorsements, world tours add great value to her net worth. During the start of her career, she was subject to a fair amount of online bullying, and in 2016, she launched an anti-bullying campaign called #ArielMovement to take on her haters and to encourage her fans as well. This multi-faceted personality had taken up dancing and gymnastics classes while still in the school. Baby Ariel aspired to become a lawyer. Ariel initially took interest in the musicla.ly app just to kill her boredom but after realizing the potential of social media, she made it as her profession. She realized that she had become a star after a girl took pictures of her while shopping with her parents at Walmart. The picture soon went viral on social media platforms. She holds the distinction of being the first personality to win the Teen Choice Award for Choice Muser. She has been featured on the cover of Billboard magazine alongside top influencer Jacob Sartorius, 60 Minutes, Good Morning America, CNN, and Rolling Stone. In September 2016, she signed with Creative Artists Agency. In February 2017, she launched her Official Arielmoji sticker app for iTunes and Google Play Store. On the 29th of November, she released a sneak peek of the video on her single “Aww” on her Instagram.